Manchester United kept their impressive run at Old Trafford going in the Premier League after thrashing Newcastle United 4-1 to register their 8th victory in 12 matches so far. United haven’t dropped any points at home this season, and despite Newcastle taking an early lead, Jose Mourinho’s side fought back and showed their authority over the Magpies. Interestingly the manager had a rather surprising starting XI against Rafa Benitez’s side. And in the end, it all came together. The former Chelsea boss started with both Marcus Rashford and Anthony Martial in the team, especially after having substituted one with the other on the left flank on most occasions. 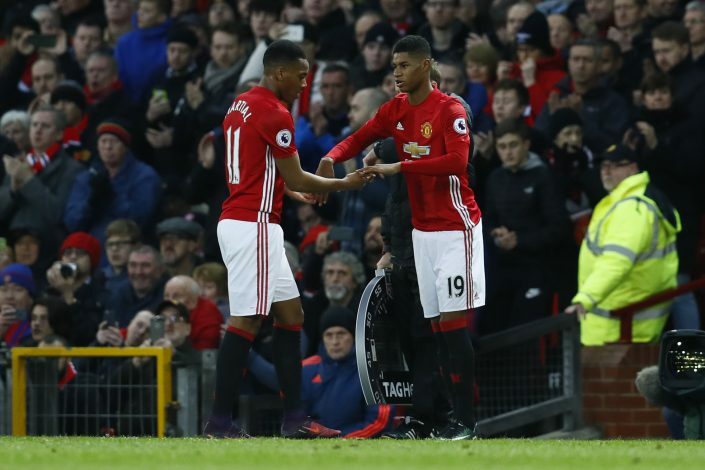 Those moves paid off, and this time, with Juan Mata playing centrally, Rashford was supposed to play on the right-wing position, with Martial on his favoured left. The Frenchman scored a goal and the England international bagged an assist to show they were up for the game. The gaffer rarely starts the duo together, and it was evident in the game as both players played mainly through the left, and sometimes centrally. Jose acknowledged later that for this very reason, he avoids including both in the same starting lineup, as they do not like to play on the right-wing position, and favour the left.